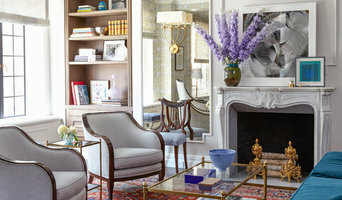 Offices in Manhattan and New York | 6x Best of Houzz Winner! Studio PPARK is a full service architectural design practice. Focused primarily on residential construction and renovation, studio PPARK creates a fresh modern aesthetic responsive to client needs. We are driven to make modern design functional and comfortable. Studio PPARK seeks out the best in all design challenges, and with a creative tool set will tailor a unique solution to our clients’ needs. Our goal is to craft a compelling concept, which will meet a specific vision, budget and time. We understand that organization and communication are all essential to a truly great design project. Our sensibility to shape, balance and order are always prevalent no matter the environment. Anastasia Amelchakova and James Krapp are partners and leaders behind studio PPARK. With 20+ years combined experience in New York City and along the East coast this husband/wife team has garnered great experience with well-regarded commercial and residential design firms A+I and workshop/apd. 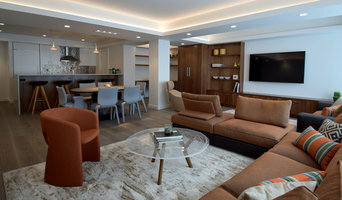 Established in 2011 by Anastasia Amelchakova, studio PPARK has parlayed their diverse portfolio into a growing private practice focused on modern design and quality service. How do I find the best Herricks architect for my home design project? It is best to hire a home architect who will be involved in all phases of the design process, from the initial concept to the completed construction. The architect is often the first person you will hire for your project. If necessary, they might also help you select and hire New York subcontractors, which can include the builders, engineers and landscaper. Interior architects are also involved in negotiating contracts for all involved participants. It is for these reasons that it is extremely important for you to have a good relationship with the Herricks residential architect you hire. He or she can be the tie-breaking vote between you and the general contractor and can be your biggest advocate during the construction process. Different architecture firms in Herricks, NY provide different services, so the scope of the work can span from pre-design environmental impact studies to selecting furniture and finishes, depending on what your specific needs are. It is very important to hire the right professional for the job. Remember that the most well-known or established designer might not provide the best architectural services for your needs. It all comes down to the individual project. Research and ask people whose work you like for recommendations. It's important to have somewhat of an idea of the style of house architecture that you prefer, as well as the amount you would like to spend. 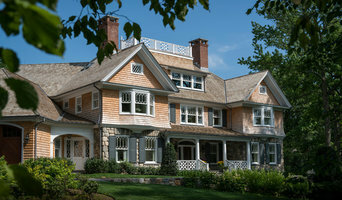 Residential architects in Herricks, NY are natural problem solvers. They will assess the entire situation and help you to solve your problems too. Don't settle for a single company too early. Call and interview a few. Make sure that you feel like your personalities will mesh well and that you like their professional perspective. 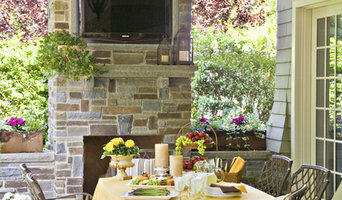 Find a home architect in Herricks, NY on Houzz. Narrow your search in the Professionals section of the website to Herricks architects. You may also look through photos of New York projects to find interior architects and building designers who have worked on a project similar to yours.